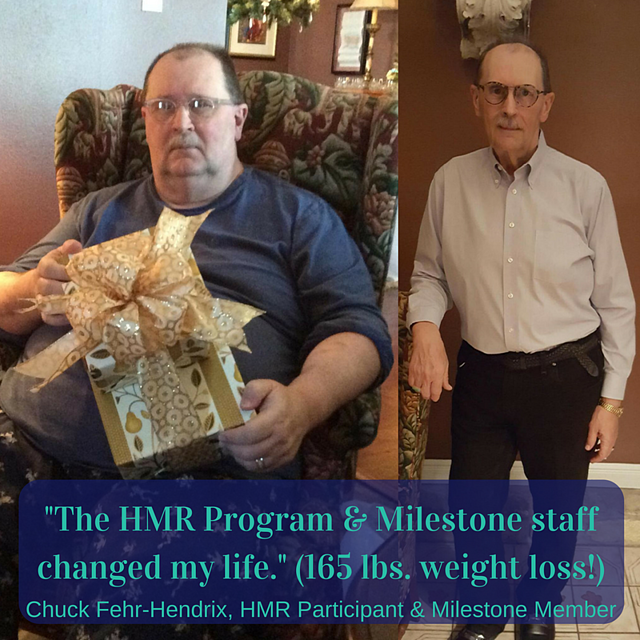 Chuck Fehr-Hendrix has lost 165 pounds in the HMR weight management program at Milestone in just 16 months. He said, "I wasn't sure I could do the program because I had tried other programs before. But I am very pleased with the results and I don't even recognize the guy in that picture!" [see "before" picture below] He added, "The HMR staff and classmates began to feel like family. Being healthy changed aspects of my life for the better I had never thought of!"